1.) 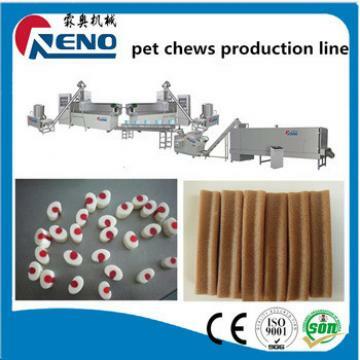 pet food extruder adopts frequency speed controlling with high automation and stable per-formation. 2. 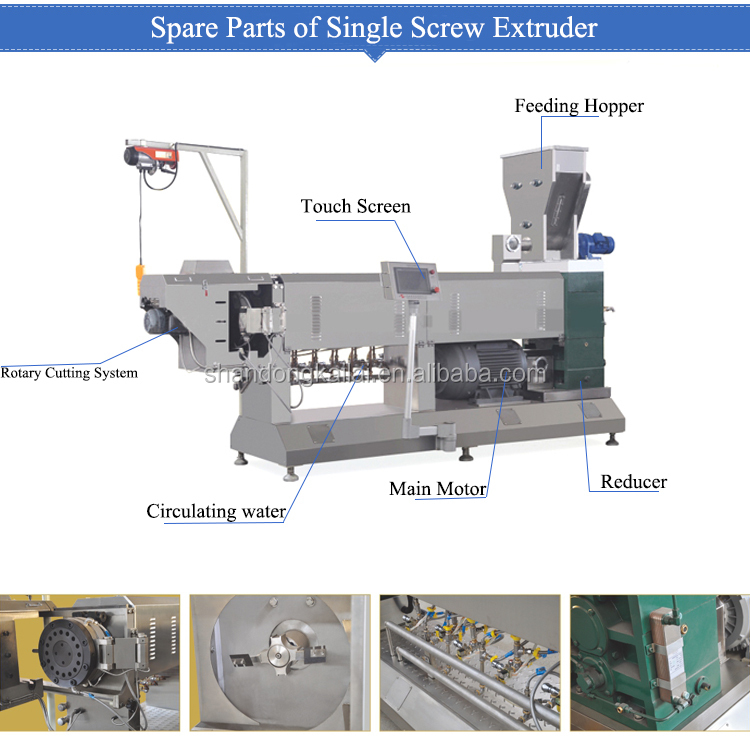 )The dog food extruder screws are made of the alloy steel and special craft, durable usage, high pressure, the screw life is longer.Adopting the building block structure and combining willingly according to the different demand. 4. )Auto temperature control system; make the temperature controlling more direct viewing and the parameter more precise. non-fumigation wooden cases packing outside. 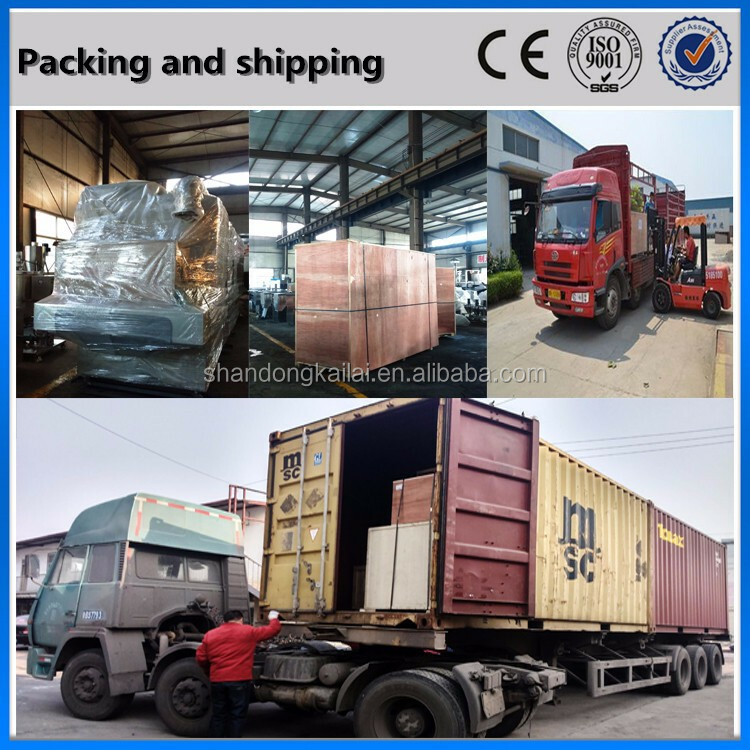 Containers will be sent to our factory to load the machines and will be sealed before being sent out to make sure the safety of our machines. Or any other ones agreed between buyer and seller. 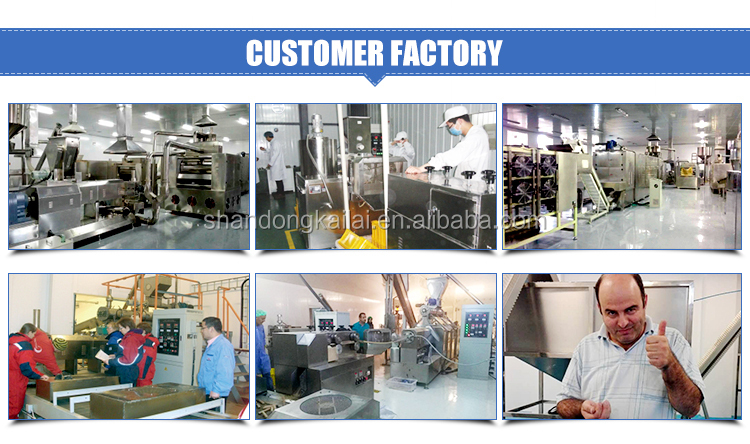 We are a leading supplier of food extruder and food machinery in China. 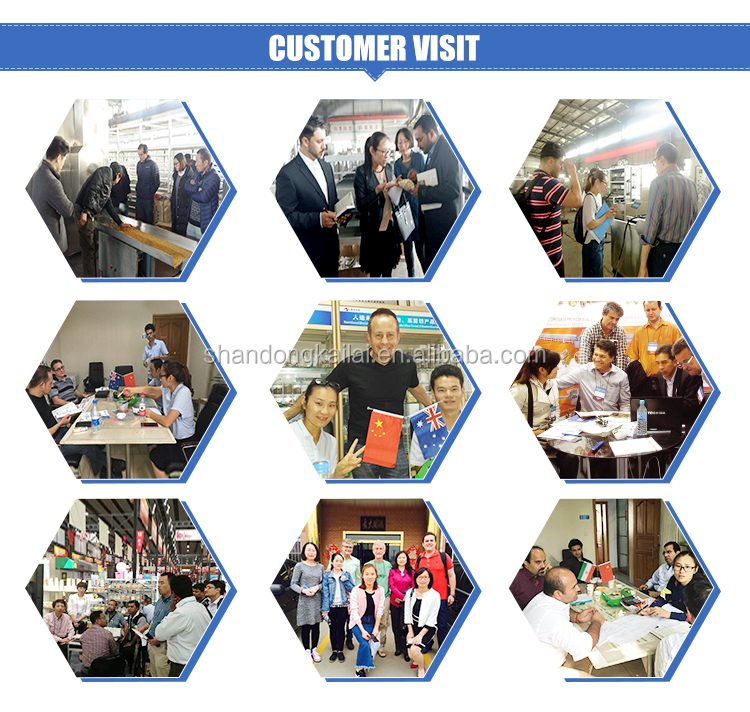 Our factory, the chief member of the China Foodstuff and Packing Machinery association, has 20 years of experience in the extrusion food machinery industry. 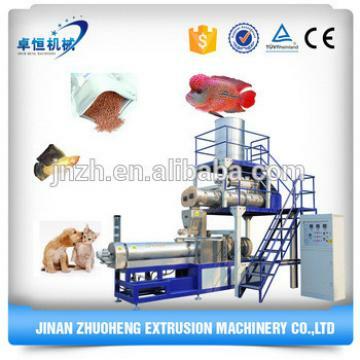 With years' of research and development, the extrusion technical has been widely used in many fields including puffed snacks, pet food and fried snacks pellets, cheetos / kurkure / niknaks production machine . Our products consist of extrusion snack machine, food extruder, breakfast cereals and corn flakes machine, Tortilla corn chips machine, bugles machine, twin screw extruder, cheetos / kurkure / niknaks extruder, pet food machines and floating fish feed machinery, dog chewing food machine, textured soya protein machine, modified starch machine, artificial rice machine, bread crumbs machine, single screw extruder, potato chips machine, instant noodle machine and biscuits machine, instant flour machine etc. We can also provide special design and customized products according to our clients’ special requirements. We always take each client as " V I P ", and offer every client good service and price. 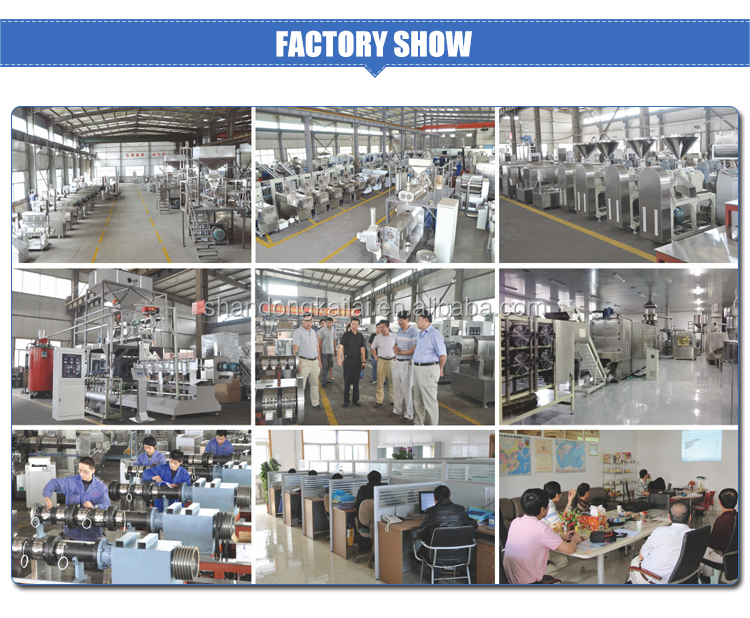 Our products have been sold to more than 1 0 0 countries and regions all over the world. Please kindly confirm us the food you will produce, the output, then we’ll recommend and design especially for you the right production line! Popular and hot selling dog chewing food making machine Completed a series of bread and hamburger productions such as continuous tableting, dough sheet finishing, sheet rolling, pattern making, quantitative cutting, stuffing, and forming an automatic swing plate. The whole process of mass production of bread and hamburgers was realized. 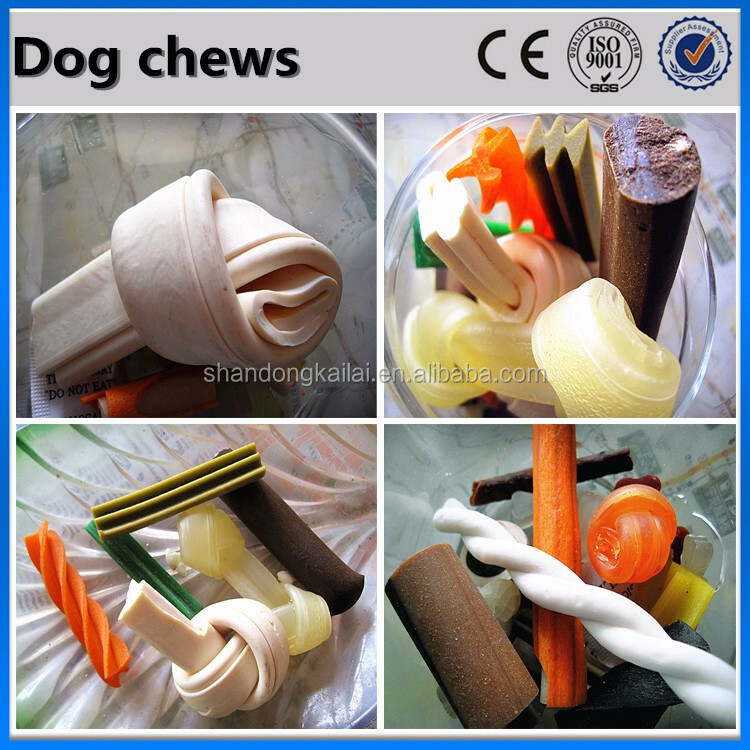 Popular and hot selling dog chewing food making machine] uses a number of advanced technologies to integrate photoelectric sensing, electromagnetic induction, human-machine interface, microcomputer programming, new materials, and bionic technologies, with a high degree of automation. Materials used and packaging materials, etc. : All materials in contact with the surface are stainless steel, polypropylene, PU, latex, nylon 1010, etc. that meet food-grade safety requirements. is sealed with stainless steel and polycarbonate plates. Can meet the needs of large-scale industrial production, scale production of a machine can produce drawing bread, hamburgers, French bread and so on.